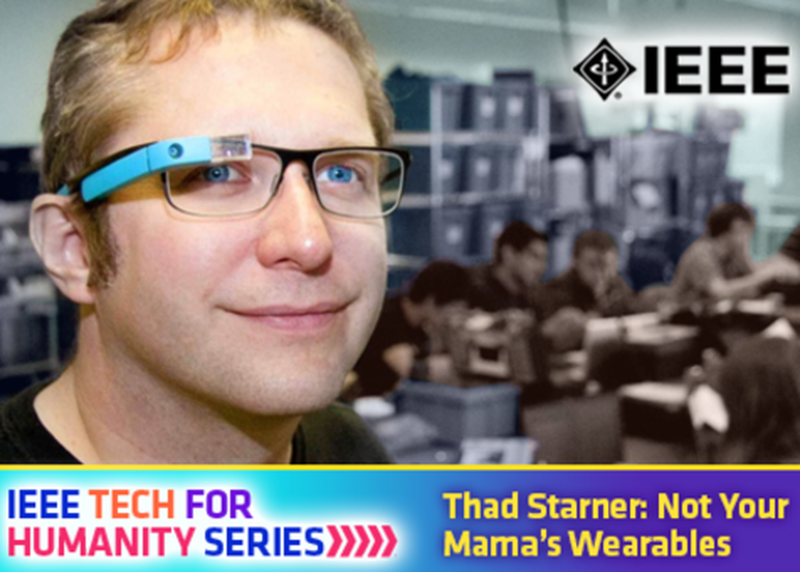 Thad Starner is a visionary pioneer and mastermind in wearable computing whose cutting edge innovations bridge critical gaps between people, machines, and their environments. Hear lessons from his journey as an MIT student, Professor at Georgia Tech and longstanding Technical Lead for Google Glass. See how his work in voiceless speech recognition and brain-computer interfaces can help fuse our bodies, minds and devices to create more seamless future UX. Learn how Thad's leading-edge wearables enable subconscious learning and leverage AI and machine learning to enable communication between people, dogs and dolphins! We’ll even bring a furry friend! Part of the IEEE Tech for Humanity Series.